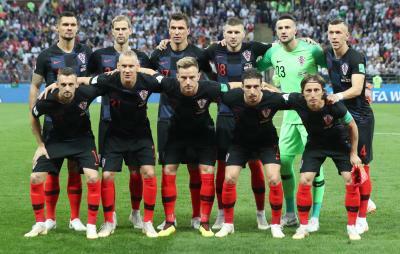 Croatia s prominence in the football World Cup freshened memories of its origin in the war which expanded after German Foreign Minister Hans-Dietrich Genscher recognised Croatian and Slovenian independence ahead of other European Union countries which were palpitating because German reunification in 1989 had already added to their anxieties. As the Persian expression goes "Ek na shud do shud." Before one source of anxiety could subside another surfaced. Cardinal Franjo Kuharic headquartered in Zagreb s magnificent Cathedral marched off to the Vatican to seek the Pope s and Italy s support. This was promptly given. Some EU member-countries began to have nightmares of the "Axis" being revived. I was in the Cardinal s office in the Cathedral which dominates Zagreb square when the door of the ante room flung open and Father Juraj Jezerinac of the Topusko Parish walked in. I had been introduced to him at the earliest stages of the conflict in one of the livelier cafes in Zagreb square. He was full of stories. One night his orthodox Serb counterpart from the neighbouring church compound came to him looking very conspiratorial. He had received word from the Orthodox headquarters in Belgrade that Orthodox Priests must lead all Serb populations out of Western Croatia in the Topusko area because the Serb army was preparing to attack the area and annex it as part of Greater Serbia. This was a scoop. Was further proof required to confirm coordination between the Catholic and the Orthodox churches? They would put aside their intra-church conflicts and join hands against the Bosnian Muslims. The cruel irony was that Sarajevo the centre of art music theatre literature in former Yugoslavia was primarily a Bosnian Muslim city. Like Lucknow Sarajevo went down nursing art and culture unable to cope with the assault of philistinism. At the outset when some EU members suspected German and Italian encroachments Britain and France came covertly on the side of Serbia which had been with them during World War II. Gen. Michael Rose leading the UN Peacekeeping mission in Bosnia became a regular feature on global TV giving briefs on the Bosnian dead on a daily basis. Nothing could have exceeded Serbian brutality than the four-year-long siege of Sarajevo. Graphic accounts of this siege beamed mornings afternoons evenings to global audiences on a daily basis decisively altered the political landscape in Turkey a development of which the West remained totally oblivious. Sarajevo derives from Caravan Sarai pointing to the city s Ottoman past. The effect of the Bosnian tragedy on the Turkish electorate brought to power Necmettin Erbakan of the Refah party akin to the Muslim Brotherhood. This was anathema to the upholders of Turkey s secular Kemalist constitution. The Erbakan government was dismissed. That is when two of Erbakan s protÃ©gÃ©s Tayyip Erdogan and Abdullah Gul reinvented themselves as the (AKP) justice and Development Party. The rest is recent history. The siege of Sarajevo was graphically chronicled by a daily newspaper Oslobodenje which won global awards for its bravery. The paper s office itself was an astounding sight. The offices and the press were in a huge basement beneath the debris of a multistoreyed building brought down during the war. The editor Kemal Kurspahic whom I had met at the last Non-Aligned Summit attended by Rajiv Gandhi in Belgrade looked none the worse for his travails. But he had nevertheless developed a mark on his forehead. This happens when the forehead hits the ground for "namaz" (Muslim prayers) five times a day over months and years. "Have you become a devout Muslim?" I asked. "There is no alternative but God when the world abandons you." There was conviction in his voice. "Who helped you publish the paper in these circumstances?" His reply stunned me. "George Soros." Throughout the four-year conflict Europe maintained a hands-off policy to avoid internal divisions within EU. Observers like Salman Rushdie described European restraint as hypocritical. "You reverse the religious affiliations of the protagonists on the ground and not just NATO but even European forces would have entered the theatre immediately to end the bloodbath." They refrained from intervention because Muslims were the victims. Those of us involved in covering the conflict knew that Rushdie and others like him were speaking the truth. But the mainstream narrative was fudged even on such crimes as the Srebrenica massacres in which 8 000 young Bosnian men were separated from their families and shot dead by Serb militias. Why did the Dutch peacekeeping forces move away from the site of the massacre? The 78-day US bombing of Serbia during the Kosovo war was designed to oust the Serbian dictator Slobodan Milosevic. Russians had been outmaneuvered by the Western alliance in a theatre Moscow considered its pan Slavic sphere of influence. Therefore when the responsibility of various part of Kosovo was being distributed between countries of Europe Russian armoured carriers barged into the area around Pristine airport uninvited. They are still in occupation of that airport. Britain Germany France control other segments of Kosovo a tiny country dotted with exquisite monasteries. The great monastery of Decan in the care of the Italians where priests produce the world s finest wines and schnapps. Just as the sun sets a young priest runs around the building carrying on his shoulder a giant rattle called the tallantone alerting the inmates just in case the "Turk invader" has eyes on the "House of God". This hostile mythology is sustained in many countries on the periphery of what was once the Ottoman Empire. Considering that this World Cup has been a celebration of multiculturalism how do I explain my being distracted into Balkan tribalism? How swiftly a nation of 4.5 million has made its mark wrenching itself away from a recent and messy past. Supposing Sefik Ibrahimovic had not migrated from Bosnia to Sweden in 1977 where the great soccer star Zlatan Ibrahimovic was born? Well Zlatan could have claimed a slot in the Croatian team with considerable justification. His mother Jurka Gravic is after all a Croat. Remember there was multiculturism in the Balkans too before sectarian tribalism was let loose.